These are the people who will shape the fate of life, disability and long-term care insurance issuers. (Bloomberg) — The new year will usher in a fresh crop of Federal Open Market Committee voters, making it time for an updated breakdown of where policy makers stand as the focus shifts to the timing of the next interest rate increase. The four votes that rotate among the reserve bank presidents — excluding New York, which has a permanent vote — will change hands in January, and appear slightly more hawk- heavy. The newcomers include three hawks and a dove and replace a hawk, a dove and two neutrals. Of permanent voters, we’ve tweaked the scores for Governor Lael Brainard and New York Fed chief William Dudley. Those changes cancel each other out, however, and there’s no change for Chair Janet Yellen, by far the most important member. Officials must weigh the timing of their next interest rate hike following liftoff on Wednesday that ended seven years of near-zero borrowing costs. The next meeting is on Jan. 26-27, followed by an FOMC gathering on March 15-16 that will also be accompanied by a press conference. Investors see no chance of a move in January and a 42 percent probability of action in March, based on trading in federal fund futures. We’ve also added tentative initial scores for Robert Kaplan and Patrick Harker, the new presidents in Dallas and Philadelphia. Stay tuned for a rating on the incoming Minneapolis head, Neel Kashkari, who takes over for uber-dove Narayana Kocherlakota on Jan. 1. None of those three new presidents will vote in 2016, but all will have a chance to air their views during FOMC meetings, influence voters and help shape policy statements. The new voters will be Boston’s Eric Rosengren, Cleveland’s Loretta Mester, Kansas City’s Esther George and James Bullard from St. Louis. They replace John Williams from San Francisco, Chicago’s Charles Evans, Richmond’s Jeffrey Lacker and Atlanta’s Dennis Lockhart. Bloomberg economics reporters applied a subjective ranking based on each member’s public record: A score of three doves indicates they’re most inclined toward an easy policy that favors job creation; three hawks show that they’re on the sharpest lookout for inflation and ready to tighten policy. The center of gravity on the FOMC, Yellen has so far proved to be the dovish chair that many expected. Still, just as predicted by economists who know her well, Yellen showed she’s wary of losing control of price stability and went ahead with a rate increase in December. She has worked hard to maintain consensus on the FOMC — her public diary shows that she calls each regional Fed president to canvass their views before every meeting — and she suffered just two dissents in 2015, both from Jeffrey Lacker. Her skill at maintaining consensus, however, will be tested in the new year, with doves on the Fed Board almost certain to clash with hawkish reserve bank presidents. The elder statesman of the FOMC, Fischer is considered the second-most powerful member of the committee and a moderating influence on Yellen’s dovish tendencies. He has been closely in tune with the chair, and perhaps influential in with his counsel that inflation should move back toward the Fed’s goal in 2016. That said, his relative calm over market turmoil in August 2015 wasn’t enough to convince Yellen to move ahead with the first rate hike in September. Dudley is considered among the most influential members of the FOMC in his role as vice chairman of the committee and head of the regional Fed bank that oversees Wall Street. We’ve subtracted a dove now that Dudley followed through on support for a rate hike in 2015 even before seeing any tangible increase in inflation. While he remains highly sensitive to financial- market upsets, he seems determined to be a loyal vice chair and support the views of his boss. Tarullo is the Fed Board’s key official on banking supervision and doesn’t speak about the economy very often. That said, he’s revealed himself in the last few months as being a strong dove, confirming the assumptions of Fed watchers. Specifically, he’s urged his colleagues to wait for “tangible evidence” of inflation before raising rates. He didn’t get his way, yet didn’t dissent in December. Count him among potential dissents every time the Fed hikes in 2016. The lone Republican on the Fed Board, Powell has proved not quite as hawkish as some Fed watchers had expected. A former venture capitalist and Treasury Department official, he’s been very cautious in expressing his monetary-policy views. In early August, he said the “time is coming” for a rate increase, but he wanted to see more data to be sure. In the end, he voted with the chair in delaying in September and hiking in December, while also saying the Fed should move gradually with subsequent tightening. Brainard, a former Treasury undersecretary for international affairs in the Obama administration, has established herself as the leading voice for doves urging caution in tightening monetary policy. She gave speeches in late 2015 arguing that weak global growth cast a shadow on economic prospects in the U.S. While her remarks were interpreted as a case against raising rates until 2016, Brainard voted for the hike in December. Along with Tarullo, she’s a candidate for casting the first dissent by a governor in more than 10 years. George has consistently favored getting on with tightening policy, saying the Fed missed opportunities to raise rates in previous years. She has repeatedly warned the Fed could prompt asset-price bubbles with too-low interest rates. She dissented against the Fed’s accommodative policy at seven of eight Fed meetings in 2013, her last year as a voter. George could be a candidate for a few dissents in 2016 if the FOMC follows its members’ median forecast and raises rates four times. One of the newer regional presidents, Mester is considered a centrist with a slightly hawkish lean. She spent 14 years overseeing research at the Philadelphia Fed, most of that under President Charles Plosser, a committed hawk, before taking the top job in Cleveland in 2014. Mester has said since June that the U.S. economy is strong enough to sustain a rate hike. 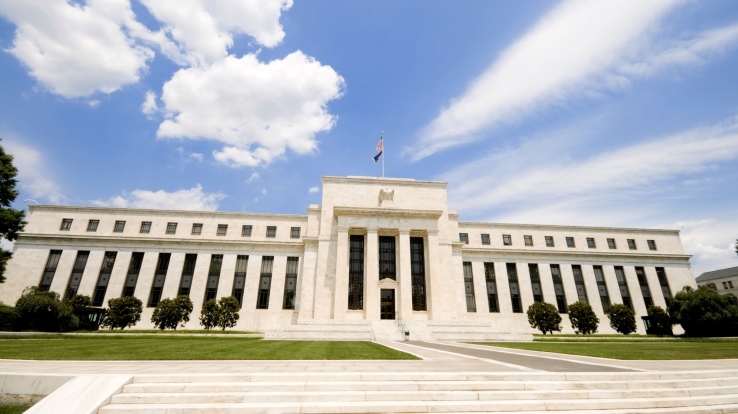 She’s in favor of tightening gradually, but will be wary of financial instabilities and inflation should the committee’s doves dictate the pace of firming. A solid dove, Rosengren has long called for the Fed to hold rates low until it’s sure that tightening won’t disrupt a fragile expansion and smother already low inflation. At the same time, Rosengren was an early proponent of the idea that getting the first hike over with would make it easier for the Fed to follow a slow and gradual path of tightening after liftoff. He’s also pointed to signs of an overheating commercial real-estate market in his district, but we’re not subtracting any doves yet. Bullard consistently favored an interest-rate increase throughout 2015. He told reporters he would have dissented at the September FOMC decision to keep rates at zero, if he had been a voter. While hawkish, Bullard has taken a flexible approach to policy and sometimes been a leader in favor of more stimulus. In 2010, he called for another round of asset purchases, which preceded the Fed’s move to additional quantitative easing. Evans will probably be the most dovish member of the committee in 2016. Evans has said as recently as July that the Fed should delay liftoff until mid-2016. He’s argued that the risk of too-low inflation being exacerbated by a rate increase outweighs the threat of high inflation caused by waiting too long to tighten policy. Count him among doves who were ideologically against an increase in December but voted for one nonetheless, possibly in the interest of showing a unified front when the Fed lifted rates for the first time in almost a decade. Lacker is possibly the most hawkish member of the FOMC, having warned repeatedly about the risks posed to financial stability and inflation by keeping rates near zero for too long. Lacker has dissented on nearly half his votes and cast the lone dissent at the September and October meetings when the committee decided to stand pat. A moderate on the committee described by some economists as dovish, Lockhart has been a reliable supporter of Yellen. In September he said he favored an interest-rate increase by year- end, while also defending the FOMC’s delay as appropriate because of the risks to the inflation outlook from market volatility. He voted with the chair to raise rates in December. Williams is viewed as a policy centrist who worked closely with Yellen as her director of research when she ran the San Francisco Fed, a post she vacated in 2010 to become Fed vice chair. In 2015, he leaned slightly hawkish. He repeatedly voiced a preference for starting rate increases early, arguing that this would give the Fed room to move gradually. He even gave some indications that he was ready to hike in September, though he didn’t join Lacker by dissenting when the committee held fire, so he didn’t merit a rating change. Kashkari, who was named in November to succeed the FOMC’s most dovish member, Narayana Kocherlakota, came to prominence as the manager of the the U.S. Treasury’s $700 billion fund used to rescue ailing banks and auto makers during the financial crisis. He ran unsuccessfully in 2014 for governor of California, as a Republican, and was defeated by incumbent Jerry Brown. While his monetary-policy views are largely unknown, he made a critical comment on his Twitter feed in 2013 about Japan’s efforts to stimulate its economy through bond purchases. He also suggested that Fed stimulus had contributed to inequality in the U.S.
Harker, former president of the University of Delaware, took office at the Philadelphia Fed in July and his views are largely still unknown, though he said in December the Fed should raise rates “sooner rather than later” to allow a gradual pace of subsequent increases. Harker said the economy was approaching “normalcy” and he expected steady and modest growth. He is unlikely to be as hawkish as his predecessor, Charles Plosser, a consistent critic of the Fed’s loose monetary policy who dissented in three of his last four votes on the FOMC. Kaplan is a former Goldman Sachs Group Inc. executive and Harvard professor who became Dallas Fed president in September. He delivered a dovish debut speech in November, saying the FOMC had been “prudent” in not hiking to that point. He also argued that employment needed to be viewed in a more global context, suggesting there was more slack in the labor market even as the U.S. approached estimates for full employment. Kaplan replaced the hawkish Richard Fisher, who consistently called for withdrawal of Fed stimulus.